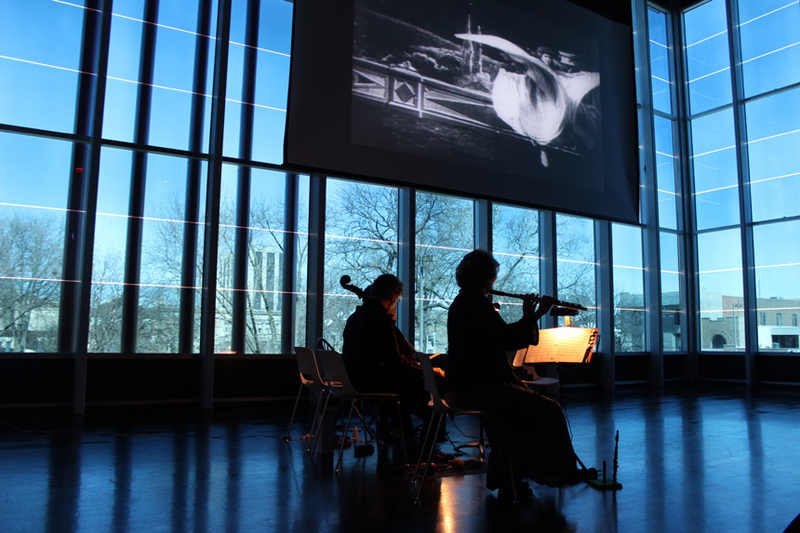 A project of live chamber music with silent film. January – May, 2015. This fascinating project features “an exceptionally rare, perhaps unique, collection” of silent films from 1895-1910 that comprise “perhaps the most significant collection of early films in the world.” The owner of these films, Michael Zahs, invited us to view the 100+ films in the set, make selections, and then set these films to music. Our partners in the project include the Ainsworth Opera House and Special Collections at the University of Iowa Libraries. Viewed for the first time in over 100 years, The Brinton Silent Film Collection features historian Michael Zahs as narrator with the Red Cedar Trio providing the music. A new commission by Harvey Sollberger, plus arrangements by Boland and Dowdall, create music designed to complement these 20 rare films ranging in length from 10 seconds to 10 minutes. The silent films include comedy, drama, special effects, foreign scenes and magic by Georges Méliès, whose life story was featured in the film Hugo. Jan Boland and John Dowdall provide music for the Silent Film Annabelle’s Dance. The films were rehabilitated from their original and unstable condition on nitrate film by the nation’s leading film restoration company, which prepared them for viewing in digital format. The collection, comprised of film images from around the world, includes some of the very earliest films (1895-1908) among which are those of the famous French filmmaker Georges Méliès. The films also have a strong Iowa connection. The films were originally owned and shown to thousands of eager viewers in Eastern Iowa and beyond by Frank and Indiana Brinton (from Washington, Iowa) in the early 20th-century. Michael Zahs has an image (taken from glass negative) taken at the State Theater in Washington, Iowa circa 1907. 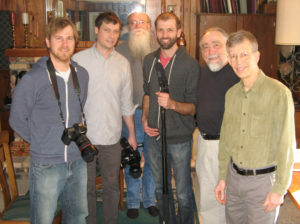 Pictured in the center with a film projector is Frank Brinton. Seated next to him is his wife Indiana. Musicians are pictured in the balcony: clearly visible are a bass drum and brass instruments. The Gazette (Cedar Rapids, Iowa) named the project among the “Top 15 for 2015” and Hoopla dubbed the April 25th concert “Pick-of-the-Week”. Diana Nollen wrote a great article. 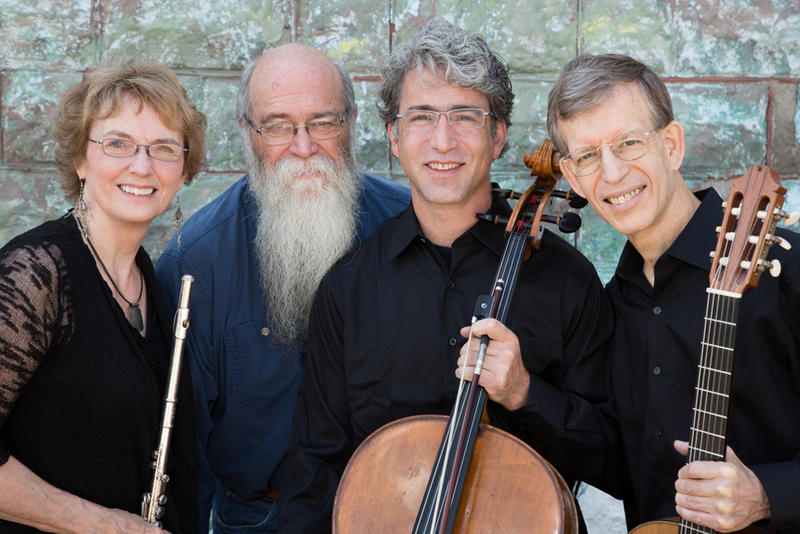 Hear an Iowa Public Radio live concert and interview surrounding the project. Hear most of the music for film in separate files on Red Cedar’s channel on YouTube. Here is a set of four short comedy films set (by Jan Boland) to music posted to Youtube. The Brinton Silent Film Project is part of a documentary film titled Saving Brinton by an Iowa City film crew _ John Richard, of Bocce Ball Creative Studio and Andrew Sherbourne and Tommy Haines of Northland Films. SPONSORS: The Augustine Foundation (NY) and the Iowa Arts Council. a division of the Iowa Department of Cultural Affairs and the National Endowment for the Arts. Harvey Sollberger is a composer, conductor and flutist who has been active in many world musical centers. Performers of his music have included the New York Philharmonic, the San Francisco Symphony, Tanglewood, June in Buffalo, Interlink (Tokyo), Radio France and Pierre Boulez’s Domaine Musical (Paris), TRANSIT (Belgium) and Incontri di Musica Sacra Contemporanea (Rome). 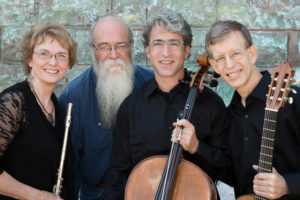 Sollberger has received the Award of the National Institute of Arts and Letters, two Guggenheim Fellowships and commissions from the Fromm, Naumberg and Koussevitzky foundations, and has taught at Columbia University, the Manhattan School of Music, Indiana University and the University of California, San Diego. His output as composer and performer is documented on over 150 commercial CDs. Harvey Sollberger currently lives in Iowa. • January, 2015. 4-day residency (16 classrooms) at Jefferson High School, Cedar Rapids, Iowa. • February, 2015. 3-day (12 classrooms) residency at Francis Marion School, Marion, Iowa. • February 17, 2015. Summit Pointe, Marion, Iowa. * March 4, 2015. Open Rehearsal at Ainsworth Opera House, Ainsworth, Iowa. * March 5, 2015. Open Rehearsal at Ainsworth Opera House, Ainsworth, Iowa. • March 6, 2015. Premier I at the Ainsworth Opera House, Ainsworth, Iowa. • March 7, 2015. A different program from March 6th..Premier II at the Ainsworth Opera House, Ainsworth, Iowa. • March 14, 2015. Southeast Iowa Symphony, Ottumwa, Iowa. • March 17, 2015. Granger House, Marion, Iowa. • March 17, 2015. Sts. Peter and Paul, Solon, Iowa. • March 18, 2015. Parlor Concert at Oaknoll, Iowa City, Iowa..
• March 19, 2015. Williamsburg Public Library, Williamsburg, Iowa. • March 19, 2015. Highland Ridge, Williamsburg, Iowa. • March 26, 2015. Cedar Rapids Public Library, Cedar Rapids, Iowa. • March 26, 2015. Lowe Park Arts Center, Marion, Iowa. • March 28, 2015. Hiawatha Public Library, Hiawatha, Iowa. • April 2, 2015. Cottage Grove Place, Cedar Rapids, Iowa. • April 22, 2015. Open Rehearsal at Village Place, Marion, Iowa. • April 22, 2015. Village Place, Marion, Iowa. • April 22, 2015. Central City Public Library, Central City, Iowa. • April 23, 2015. Marion City Hall, Marion, Iowa. • April 23, 2015. Vinton Theater, Vinton, Iowa. • April 24, 2015. Meth-Wick Community, Cedar Rapids, Iowa. • April 24, 2015. St. Mary’s Church, Tipton, Iowa. • April 28, 2015. Kirkwood Community College, Cedar Rapids, Iowa. • April 28, 2015. Calvary Baptist Church, Cedar Rapids, Iowa. • May 6, 2015. University of Iowa, Shambaugh Aud., Iowa City, Iowa. • August 14, 2014 Washington D.C. For the National Convention of the National Flute Association. Four films featuring the music of Harvey Sollberger (Sydney the Clown, Elk’s Parade, The Secret of Death Valley and Train/Pullman Car). “It’s such an extraordinary program that you’ve put together. Thank you for your hard work and excitement in bringing us something that is truly unique. I wish everyone could see this.” S.S.
“This was a one-of-a-kind show! I truly enjoyed it and can’t wait for the next one.” C.P.